Our current exhibition – The Museum of Ordinary Animals: The Boring Beasts that Changed the World ­­- explores the mundane creatures in our everyday lives. Here on the blog, we will be delving into some of the stories featured in the exhibition with the UCL researchers who helped put it together. How did Mary Toft – a peasant from Godalming in Surrey – convince some of the eighteenth century’s leading medical men that she was giving birth to rabbits? 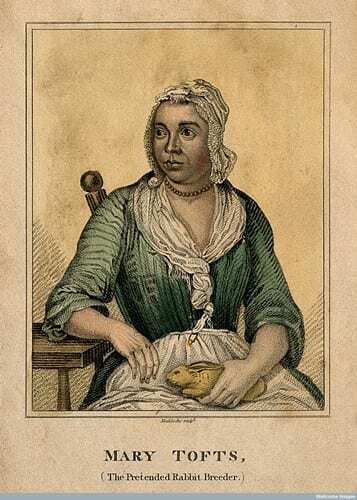 Mary Toft, a copy of a portrait made in 1727 as Mary languished in Bridewell prison, while lawyers considered whether rabbit breeding was actually a crime.